The really interesting bit, though, concerns Mozart. 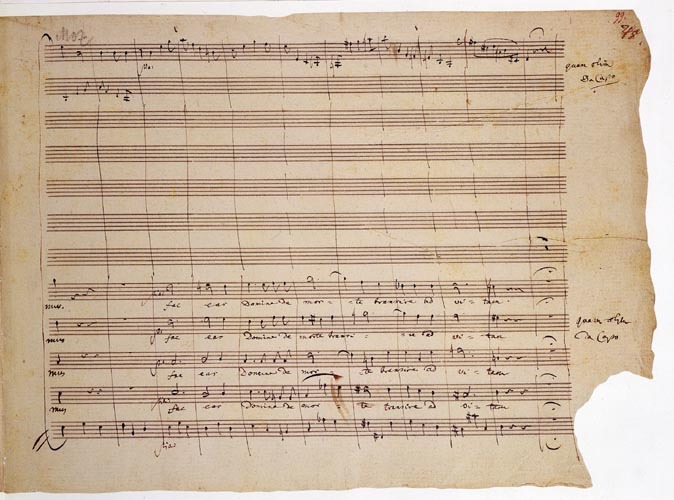 An autographed manuscript of Mozart’s Requiem was placed on display at the Expo. At some point, someone tore off the bottom corner of the manuscript – a scrap of paper containing the words “Quam olim d: C:”. If the beliefs around the manuscript are true, those words would be the last words that Mozart ever wrote. To this day, the scrap has not been recovered.